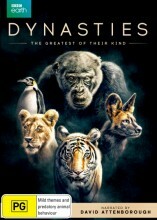 The David Attenborough Dynasties DVD follows the true stories of 5 of the world's most celebrated, yet endangered animals; penguins, chimpanzees, lions, painted wolves and tigers. Each in a heroic struggle against rivals and against the forces of nature, these families fight for their own survival and for the future of their dynasties. 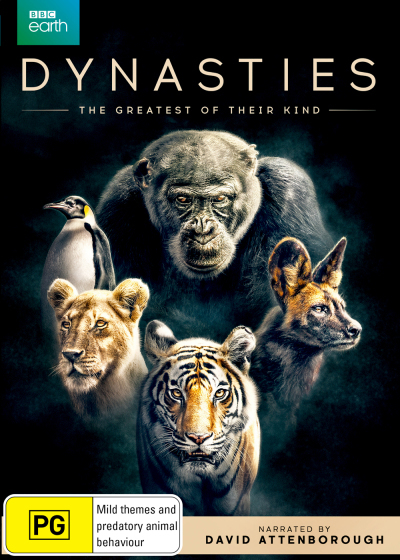 You'll love David Attenborough's Dynasties DVD. Click the button below to add the David Attenborough - Dynasties to your wish list.